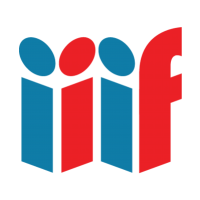 The International Image Interoperability Framework (IIIF) is a partnership of libraries working together to promote access to image-based digital repositories, allowing their image collections to be used by others. With our new website, DIAMM has adopted both the IIIF Image and Presentation specifications. There is, however, a small caveat. Due to our existing licensing agreements with our partner libraries, we are unable to make our IIIF resources available without requiring them to sign in. In the future we hope to allow open and public access to images provided by libraries with liberal public licenses (e.g., Creative Commons), but this will take time. In the meantime we are also working towards implementing the IIIF Authentication specification, which would allow a more seamless authentication experience. We are excited to be among the growing list of IIIF implementers, and look forward to being a part of an active and thriving community.